This tour allows you to explore the beautiful cities of Arezzo and Cortona plus a wine tasting at the Avignonesi estate. Your driver will first stop to the winery where you will be taken on a tour to show you the vineyards and the production technique. At the end of the tour you will have the chance to taste some Vino Nobile and prestigious "Vin Santo". 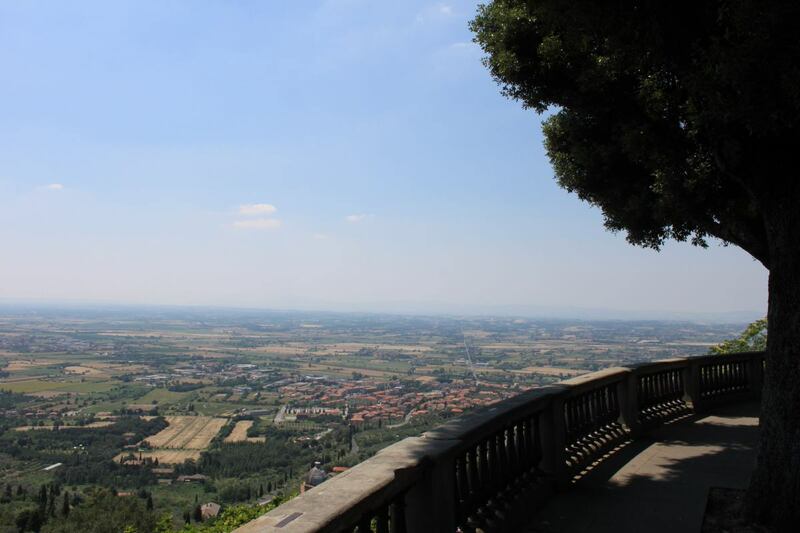 The tour will now lead you to Cortona; a small beautiful town with a stunning view over the Val di Chiana Valley and the Lake Trasimeno. Founded by the Etruscan, is now known for being set of the famous movie "Under the Tuscan Sun" by Frances Mayes' bestseller and its jewelry stores - Del Brenna. After lunch you will move to Arezzo which is believed to have been one of the twelve most important Etruscan cities the so-called Dodecapolis, part of the Etruscan League. A walk through the city ending in Piazza Grande, one of the most noteworthy medieval square in the city, is the best way to explore this ancient city. It is possible to hire a private tour guide upon request.